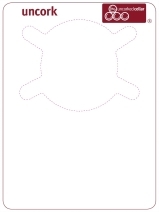 Printable wine tags cling to the neck of the bottle with unique side tabs. Create your own field layout using The Uncorked Cellar cellar management program. Print with any standard Laser or Inkjet Printer. 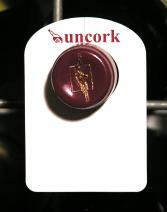 Same great wine tags as above - buy in bulk and save. Stick them to wine bottle tags or to the wine bottle itself. Create your own custom layout using The Uncorked Cellar. Same adhesive wine label tags as above - buy in bulk and save. Snap on to the neck of almost any sized wine bottle and never fall off. Superior bottle tags for home or commercial use. Ideal to note wine vintage, wine ratings or the estimated peak year to drink. Same reusable bottle neck tags as above - buy in bulk and save. We only have happy customers - Complete satisfaction or your money back - view our refund policy here. Use of the Global Wine Stocks subscription service is subject to the conditions posted on their website.